If hope is certain, why can't I be sure of my own salvation? If we are saved through hope, and hope is certain; why is it that the Catholic Church teaches that it is a heresy to say that I am certain of my own salvation? How is it that theological hope can be certain without being presumptuous? The theological virtue of hope must needs be distinguished first from natural and worldly volition – “I hope it doesn’t rain today!” – and then from the vices of despair (which is a lack of hope) and presumption (a quasi-excess of hope). Both before his saving death and again after his resurrection, the Lord Jesus promised to send the Holy Spirit upon his Apostles. This promise was fulfilled at the feast of Pentecost. We all recognize the great importance of Pentecost for the life of the Church, since this day is often called the “Day of the birth of the Church”. Further, one can see that the outpouring of the Holy Spirit upon the Apostles gave them that missionary zeal to convert the whole world. 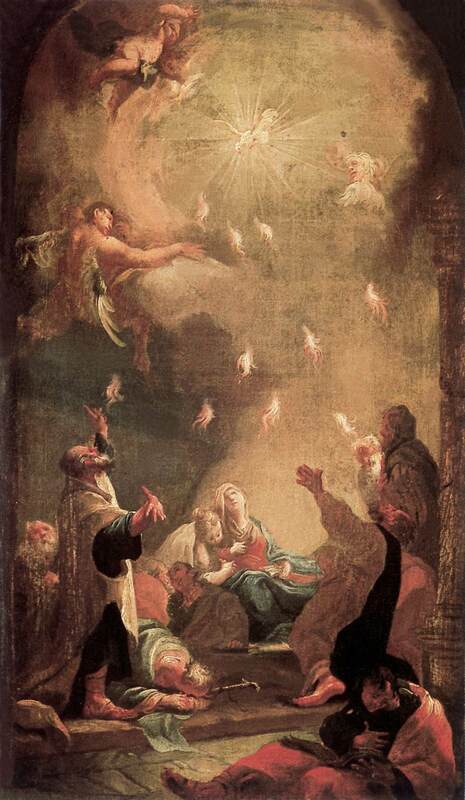 What is perhaps less clear is the importance of Pentecost for the interior life of the Apostles, and what this has to do with our own spiritual growth. Then there appeared to them tongues as of fire, which parted and came to rest on each one of them. And they were all filled with the Holy Spirit. The seven sacraments do not come from the Church, for she has not the power to create sacraments. Rather, they all were instituted by Christ himself. This is easiest to see in the cases of Baptism and the Eucharist, where he gave the very words and matter in the most explicit terms. 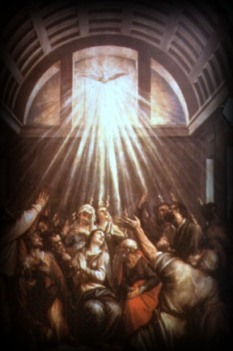 The Fathers and Doctors of the Church recognize the institution of the sacrament of Confirmation in the sending of the Holy Spirit at Pentecost. Are the gifts of the Holy Spirit necessary for salvation? As the Church prepares for the Solemnity of Pentecost, we are invited to pray the good Lord to send a new outpouring of the gifts of the Holy Spirit into our souls. 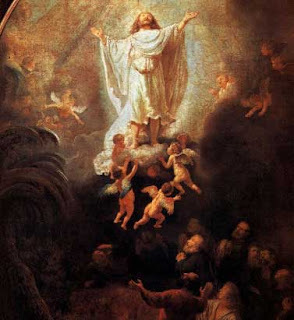 Thus, the novena to the Holy Spirit – from the Friday after Ascension Thursday through to the Saturday Vigil of Pentecost – enjoys a certain pride of place among the various novenas in the life of the Church. But what exactly are the gifts of the Holy Spirit? And, are they necessary for our salvation? 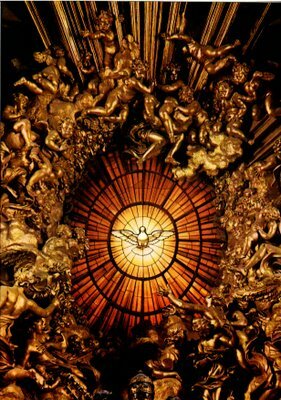 You may find the Novena for the gifts of the Holy Spirit [here]. Like the virtues, gifts are stable realities in the soul. They are spiritual and immaterial things which are in the faculties of the soul, perfecting and guiding either the intellect or the will. Some virtues are built up by human effort, these are called acquired virtues. Others are placed into the soul by God without human co-operation, these are called infused virtues. Why did Christ ascend into heaven? Would it have been better if he had remained on earth? For forty days after his Resurrection, Christ remained with the Apostles showing himself by many proofs truly to have been raised from the dead. However, after these days were fulfilled, our Savior withdrew his physical presence from his disciples and ascended into heaven. While we know that the good Jesus has done all things rightly, we may nevertheless ask whether it may not have been better for him to remain on earth. Why did the Lord ascend into heaven? While it is clearly better for him, it does not at first seem to be beneficial for us. Before Christ ascended into heaven, he commanded his Apostles to remain in the city of Jerusalem for the nine days until the feast of Pentecost, and there to await the descent of the Holy Spirit. With this, our Savior instituted the practice of the Christian Novena – nine days of prayer, especially in preparation for a solemn feast or in petition for some special grace. Christ Jesus commanded this first novena both as a period of preparation (since the feast of Pentecost was approaching) and also as an act of petition (for the Apostles, together with Mary, were pleading for the Holy Spirit to come as their Advocate). But what is the significance of a novena? Why nine days, rather than ten or forty or three? The priests of my diocese (myself included) will be on retreat through the first part of this week, which means that I will be taking a little break from blogging. Please pray for the priests of Great Falls - Billings, and for all priests! 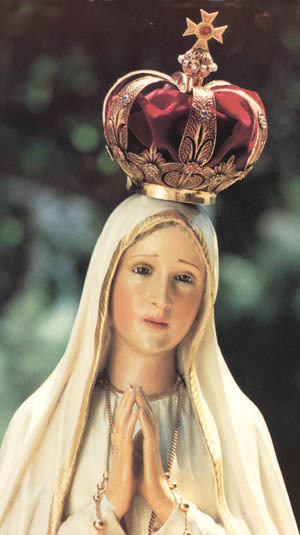 In addition to the Rosary, the Five First Saturdays Devotion is closely associated to the message of Fatima. But in what exactly does the first Saturdays devotion consist? How do we complete it? While it is not uncommon to hear modern biblical “scholars” question the historicity of the book of Job and of Job himself, there can be no doubt that the Bible presents Job as a real historical person. Not only is this the opinion of the Church Fathers and Doctors, but it is also affirmed by other passages of the Scriptures. 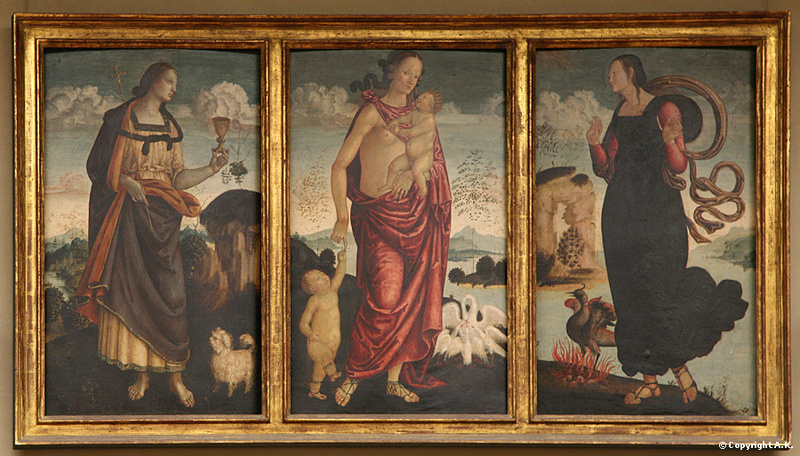 Further, the Latin Church has traditionally kept the feast of St. Job today. The Greeks keep it on May 6. The Family Rosary: Gain a plenary indulgence without leaving home! 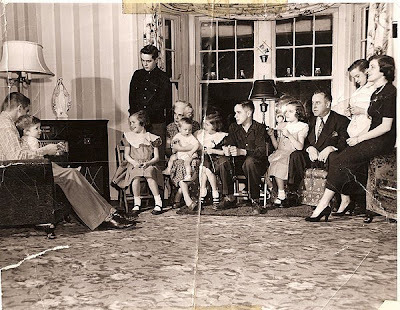 What a grace the family Rosary is for the Christian home! And yet, with all the demands of modern life, how can an ordinary Catholic family begin the practice of the daily Rosary? van Gogh: "Man writing, facing left"
Whoever remains in me and I in him will bear much fruit, because without me you can do nothing. Jesus did not say, “Without me you can do only a few things,” nor “Without me you scarcely can do even little things,” but rather Without me you can do nothing (John 15:5). On the one hand, there are the Calvinists who so emphasize the divine causality as to diminish free will. Indeed, their doctrine of double-predestination makes man to be nothing more than a donkey, ridden either by Satan into hell or by God into heaven. On the other hand, the classical Jesuits (like St. Robert Bellarmine and Fr. 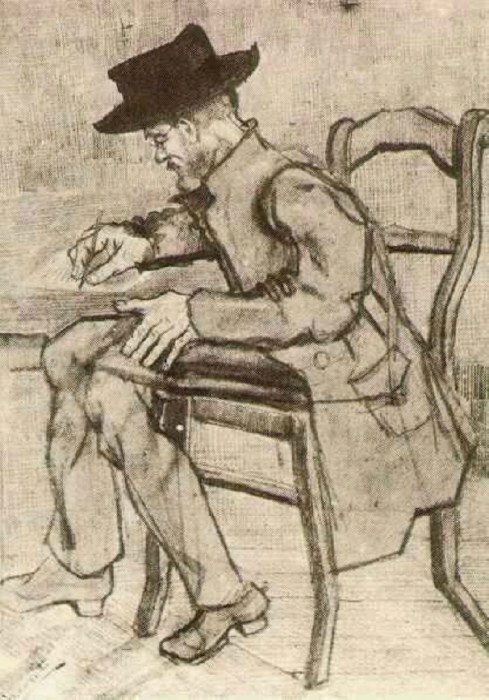 Francisco Suárez) generally struggle to give sufficient acknowledgment to the role of divine providence. 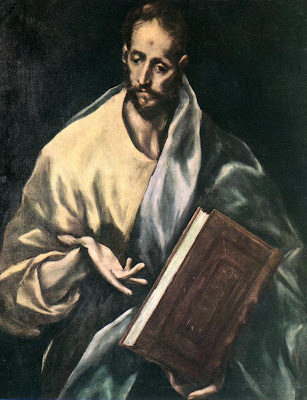 Certainly, the Jesuits are not semi-Pelagian heretics, yet their writings often tend to lean toward an over-emphasis of the human will and a de-emphasizing of God’s causal powers. Both the Jesuits and the Calvinists see man and God as competing forces in a battle over who is the “cause” of any given action. This is their fundamental flaw. It may come as something of a surprise to many, but it is not uncommon for modern historical-biblical “scholars” (I, for my part, doubt whether they are deserving of the name) to claim that St. James the Less, “the brother of the Lord”, was not the same St. James who was an Apostle and the son of Alphaeus. Pope Benedict XVI, on the other hand, clearly states (by the authority of his ordinary Magisterium) that James the son of Alphaeus, one of the Twelve, is the same James the Less, “the brother of the Lord”. In earlier articles, we have already detailed the ancestry of these two men – [here] and [here] – for the present, we will simply indicate which James is which. 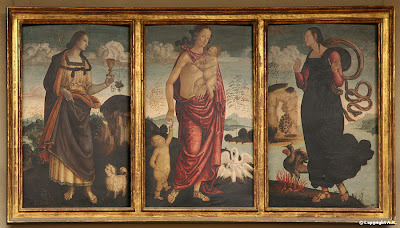 May is set aside as Mary’s Month, a time in which we honor the various privileges given the Mother of God by the three Persons of the Most Blessed Trinity. In the Extraordinary Form of the Roman Rite, this month concludes with the feast of the Queenship of the Blessed Virgin Mary, in which we recall the Coronation of our Lady as the Queen of heaven and earth, the Queen of all hearts. 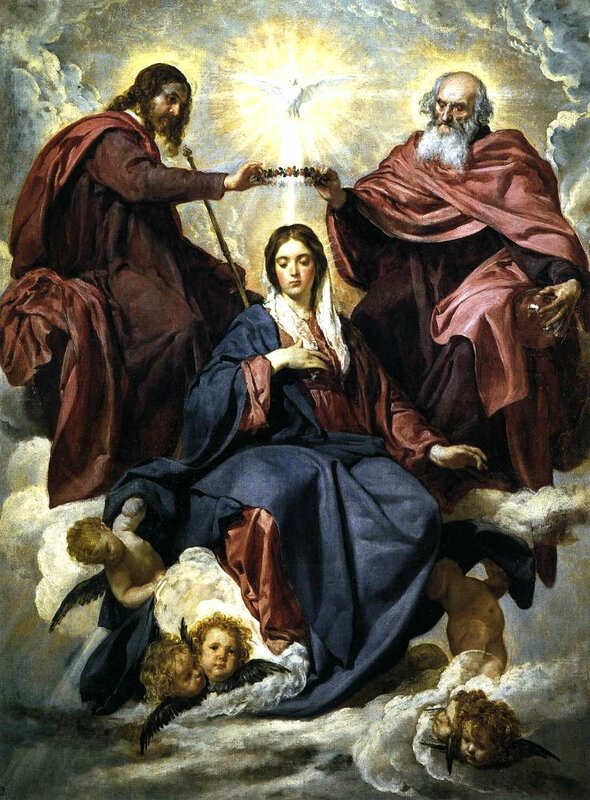 A once common devotional prayer, known as the “Little Crown” of the Blessed Virgin Mary, honors the triple crown of twelve stars which our Lady received from God upon her bodily assumption into heaven (cf. Revelation 12:1). This little prayer takes only a few minutes to pray (it is much shorter than the Rosary) and would be a wonderful way for a devout soul to honor the Mother of God in the month dedicated to her.